Chicago Criminal Damage to Property Attorney | Cook County Property Damage Lawyer - The Davis Law Group, P.C. Contact Northfield Property Damage Attorney The Davis Law Group, P.C. The criminal defense attorneys at The Davis Law Group, P.C. represent clients charged with Criminal Damage to Property throughout Chicago and its surrounding areas including Cook, Lake and DuPage counties. The offense of Criminal Damage to Property can be charged at either misdemeanor or felony level. Although allegations of property damage exceeding $500.00 are technically felony-eligible, law enforcement officials may exercise their discretion and still recommend charging the accused at a misdemeanor level. If this offense were charged as a felony, it would be charged as a Class 4 Felony, which is probation-eligible, carrying a maximum prison sentence of 1-3 years in the Illinois Department of Corrections. Any allegation of property damage less than $500.00 can only be charged as a Class A Misdemeanor unless it involves one of the exceptions explained below. The misdemeanor form of this offense is a common charge seen throughout the various circuit courts in Cook County and its surrounding counties. Some allegations of Criminal Damage to Property that involve property damage less than $500.00 can still be charged at the felony level if the damage involves the property of a school, place of worship, or any State supported/owned property. Defense of a charge of Criminal Damage to Property requires an experienced attorney who can effectively navigate the courthouse where your case is pending. There are particular local rules and procedures that may vary depending upon the county of venue. The criminal defense team at The Davis Law Group, P.C., has the experience and knowledge required to handle any allegation of theft (misdemeanor or felony) that you may be facing. Our defense attorneys thoroughly examine the evidence to determine whether your case should be taken to trial or challenged at a pre-trial motion hearing. In the event that the evidence is not favorable for our client, we are experienced negotiators and can often resolve cases favorably through plea negotiations. 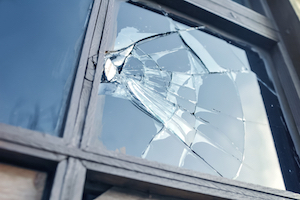 On occasion, the complaining witness (victim) of the Criminal Damage to Property primarily wants the damage repaired and/or to be monetarily restored, and does not wish to prosecute the accused. In these circumstances, we arrange with the prosecution a way for our client to provide restitution to the victim in exchange for a dismissal of the charges, or in conjunction with some form of a deferred prosecution. Either option would result in the ultimate dismissal of the charge. This option is not available in every situation, but it is always an avenue our legal defense team will explore. An experienced criminal defense attorney is often instrumental in achieving a dismissal in this manner. For some individuals charged at the misdemeanor level, disposition of the case may result in Court Supervision. This may be a favorable outcome because it will not result in a public criminal record, and this sentence is also not considered a misdemeanor conviction as defined by the Illinois Code of Criminal Procedure. For those that have a more significant criminal history, other sentencing options include conviction sentences, i.e. Conditional Discharge, Probation, or a county jail sentence that can range anywhere from one (1) day to three-hundred sixty-four (364) days in custody. Felony offenders may be eligible for Probation, but if a significant criminal history precedes the charge, a combination of County Jail time and Probation or anywhere from 1-3 years in the Illinois Department of Corrections, may be imposed. The attorneys at The Davis Law Group, P.C. have decades of combined experience representing clients charged with Criminal Damage to Property, and are familiar with local courthouse procedures, the various Assistant State’s Attorneys, Judges, and Clerks of the Circuit Court. Feel free to contact us if you require legal assistance for any criminal defense matter throughout Chicago and its surrounding area including Cook County, Lake County and DuPage County.